There are over 44 million Americans with student loans. How many of them are your clients? How many of them could be? 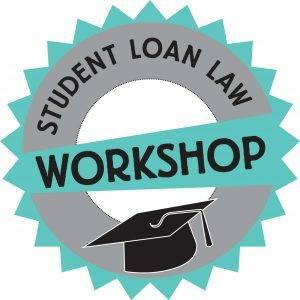 The Student Loan Law Workshop™, open to members of the legal and financial services communities, is designed to educate you about student loans, how to assist your clients and how to profit. Our 2019 schedule is now available with 17 locations to make it easier for you to attend! You are CLE approved! Get 11.5 & 14 CLEs when you attend our workshop. 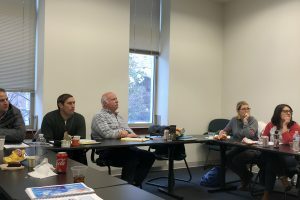 We’ve added an entire section to the agenda on marketing and monetizing student loan assistance! We’ve also added more support! There is more coming in 2019! That’s right, we are in the process of securing CLE approval around the country. This course is worth 12 CLE’s in states where we have approval. Check our CLE page to see the current status of your state. Need a refresher or want to learn all the latest? Contact Josh for your discount code and save as a returning graduate! Email Josh at jcohen@StudentLoanLawWorkshop.net with your questions and suggestions.